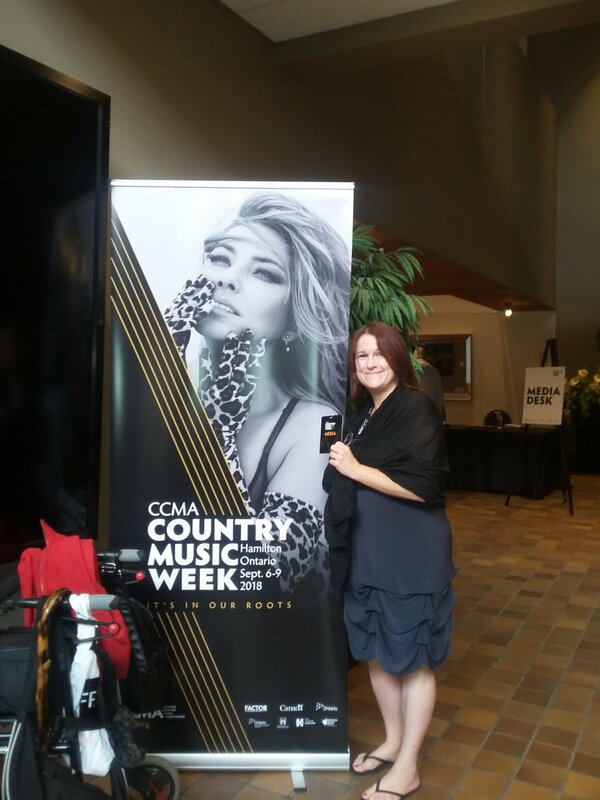 It was that time of year again the introduction of both Fall & the CANADIAN COUNTRY MUSIC ASSOCIATION'S CCMA Country Music Week & Awards 2018. 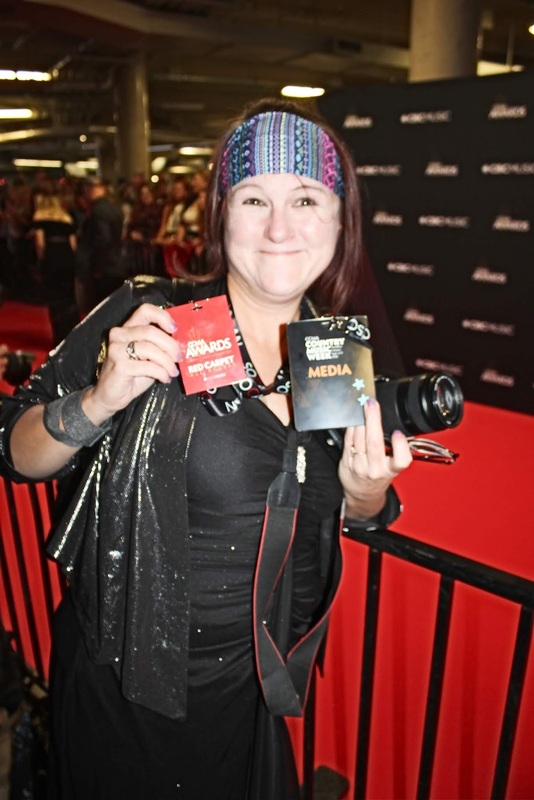 The Wire Megazine & volunteer Photojournalist Deb Draper were honoured to be included once again as a media source throughout the 4 day part music festival & party industry conference entitled Country Music Week, featuring several award events & the high energy showcases of Canadian Country talent from September 6-9th, 2018. To the average Canadian, CCMA is just an annual 2 hours event in the comfort of their living room watching the who's who of the genre & to see if Shania Twain & Keith Urban still put on a fabulous appearance after many decades in the business. 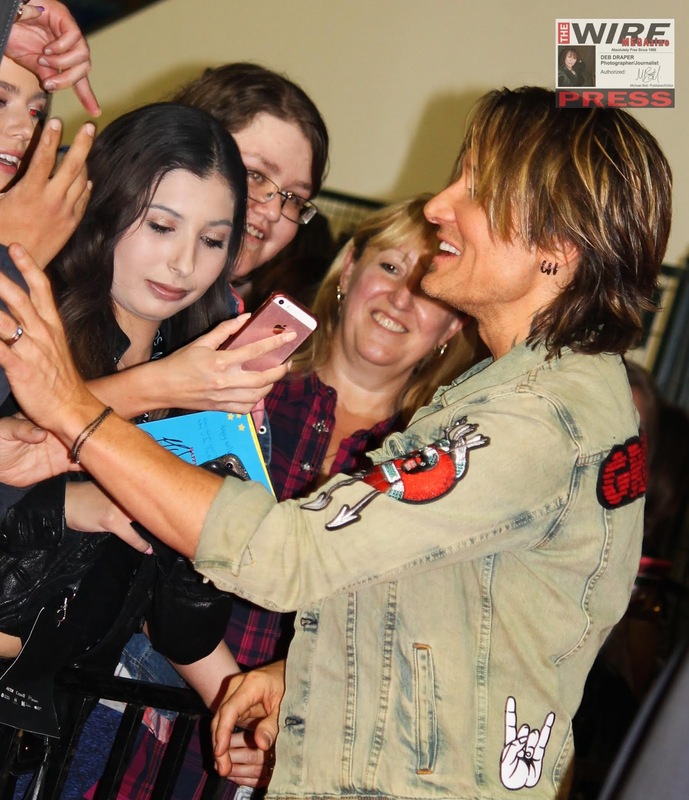 On the contrary, Country Music Week represents 4 days of non-stop live entertainment & a sense of community & opportunities where fans & celebrities get a chance to meet. 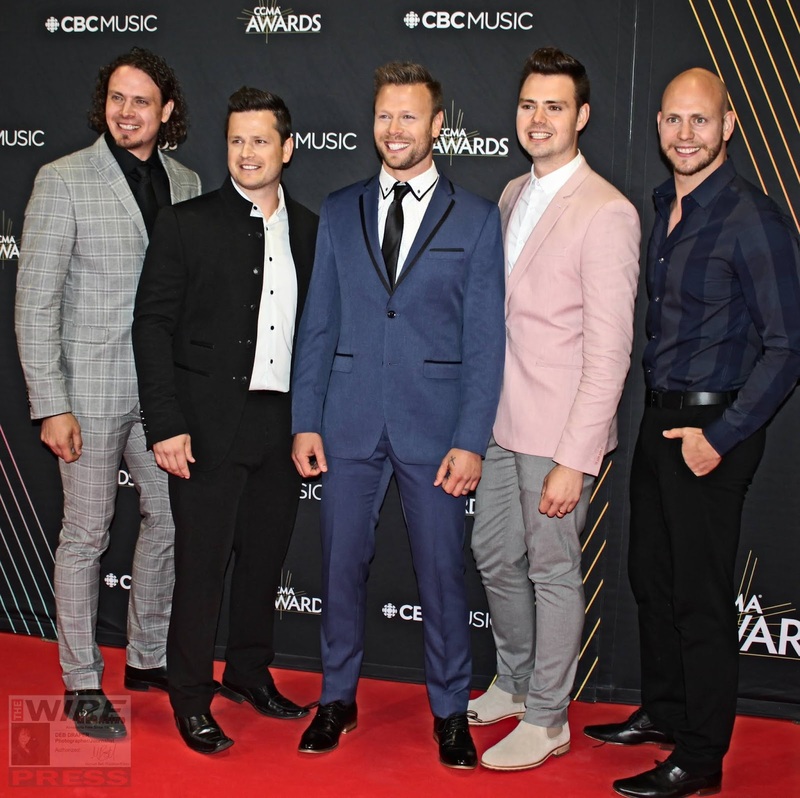 Hamilton kicked off the festivities for the 6th time as host & it's 1st since 2011, with a free concert Wednesday, Sept. 5th at 5 pm in Gore Park. 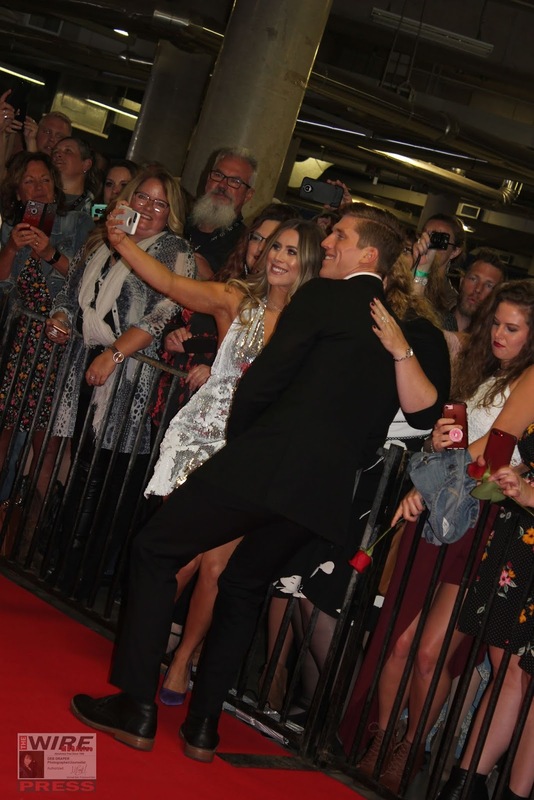 Hamilton played host to more than 10,000 fans with some 510 CCMA delegates. 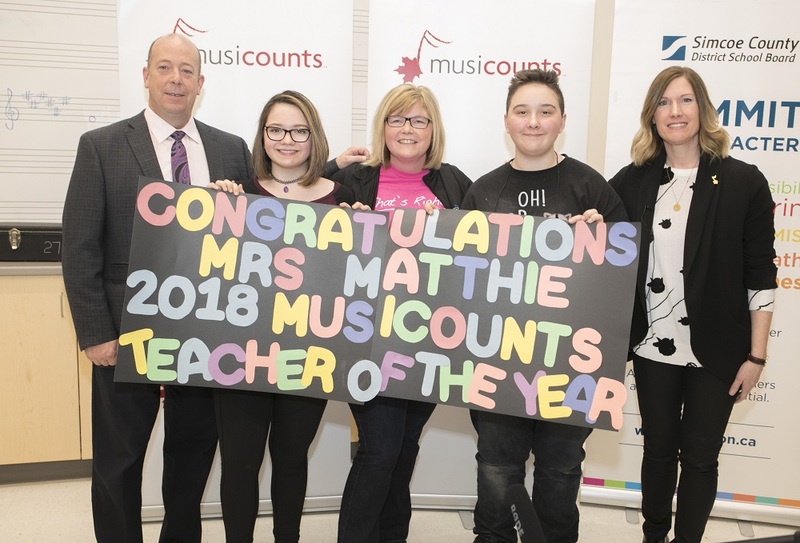 “Hamilton is a city that boasts a rich tradition of live music experiences and events and will be certain to deliver a memorable week of performances, learning opportunities and recognition of Canada’s top country artists,” said Eleanor McMahon, Minister of Tourism, Culture and Sport. "The Hamilton music scene is enriched with an outstanding line-up of homegrown talent, along with welcoming the best in the industry, our city has played host to the Canadian Country Music Association on five occasions and we welcome them back again in 2018," said Mayor Fred Eisenberger. 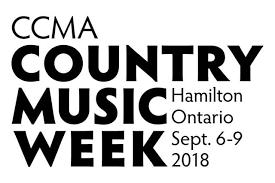 “Since last hosting Country Music Week in 2011, the City of Hamilton is now home to a dedicated country radio station, one which has risen to the #1 position not only in this market but in Canada; clearly illustrating the appetite and consumption of the music/format to area fans,” said Steve Kassay, Vice Chair 2018 Hamilton Host Committee. 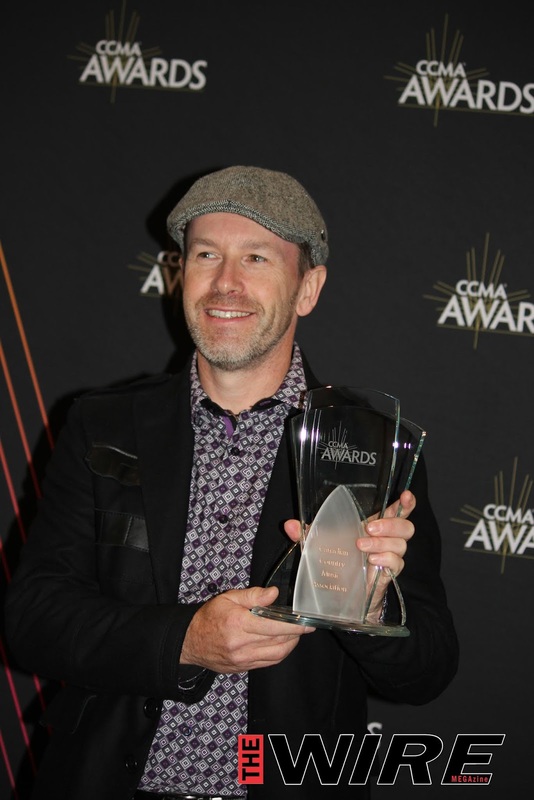 CCMA is celebrating in its 42nd year since established in 1976, as the Academy of Country Music Entertainment to organize, promote and develop a Canadian country music industry. 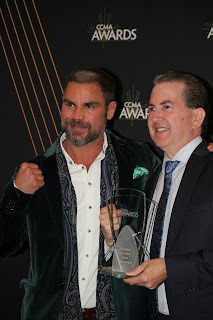 The association added the first awards portion in 1982 & changed its name to the Canadian Country Music Association in 1987, therefore, celebrating their 36th year as the CCMA Awards. 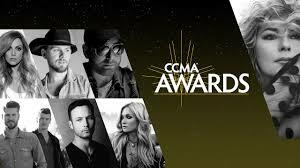 CCMA is a membership-based, not-for-profit organization that promotes in recognition of Canadian country music. 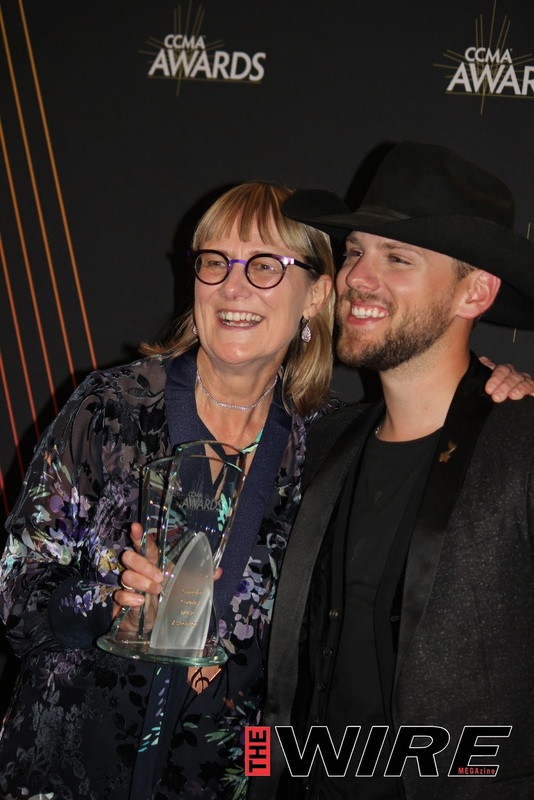 It educates, elevates and celebrates Canadian talent, focuses on including the spirit, community & creativity that country music fosters through year-round initiatives, culminating every fall with Country Music Week & the Canadian Country Music Association Awards. Registration for me, at the Hamilton Convention Centre where I was pleased to pick up media credentials & tickets. 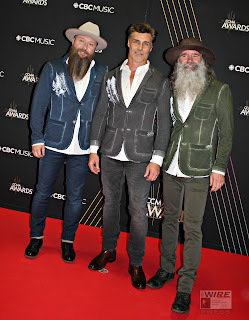 230pm welcomed the weeks anticipated highlight, the CCMA Songwriters’ Series Session 1 which was hosted by 2018 CCMA SIRIUSXM Rising Star winners,The Reklaws, as they kicked off the 3 straight days of acoustic up close & personal performances & storytelling. Highlighting the musical talents with two sets from newly awarded Songwriter of the Year recipient Aaron Goodvin, as well, Danielle Ryan, Five Roses, Genevieve Fisher, JJ & Ty Hunter, 2018 CCMA Female Artist of the Year recipient Meghan Patrick & Emily Rei, held at The Studio in Hamilton Place from 2:30 to 5 p.m. The CCMA held a board meeting til 7pm, followed by the CCMA Industry Opening Reception in the Wentworth Room B at Hamilton Convention Centre from 7-9pm as the toast to the beginning of the industry's biggest week where not only media but country music enthusiasts, & everyone in between, reunited & connected over an evening of drinks, snacks, laughs & of course, country music! Also featured, Miles From Nowhere at Radius Bar 151 James St. S. from 7 to 10 p.m.
Redhill Valleys at The Diplomat, 43 King William St. from 9 to 11 p.m.
Alberta Country Music Assn. Diamonds in the Rough Showcased & featured: Bob Donaldson, Krissy Feniak, Devon Cooper, Hailey Benedict, Renegade Station, Justin Hogg, Drew Gregory, Mariya Stokes, The Dungarees, Mandy McMillan, Paire States, Karac Hendriks, Ben Chase, 9 p.m. to 1 a.m. At The Honest Lawyer in Jackson Square. CCMA held it's Industry Lunch and Awards at Hamilton Convention Centre in the beautifully decorated Chedoke Room from 11:30am-1:30pm where they recognized some of Canada’s most influential music industry professionals regarding their dedication & hard working crafts in the business of radio, festivals as well, in the industry of video directors, producers & management, recognizing those who work behind the scenes to make the country music industry flourish. The afternoon released the 1st batch of 18 awards at the CCMA Industry Lunch & Awards presented by Nielson Music which was hosted by Steve Kassay. Travis Switzer took home his 5th win for Bass Player of the Year. On-Air Personality(ies) of the Year (Medium or Small Market) went to “Jason, Jack & Carey Morning Show” at CICX-FM in Orillia. Thrilled to see Orillia several times at this award show, my birth town, I got homesick right there and then. 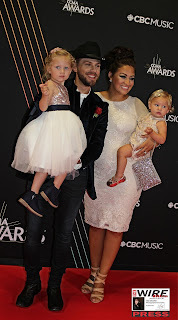 Country Music Program or Special of the Year was awarded to Jess Moskaluke for Home Movie -Corus Entertainment. 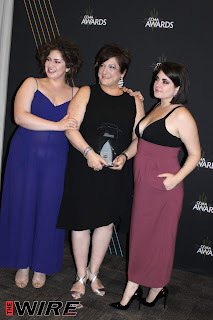 Creative Director(s) of the Year went to Design Team: Antoine Moonen, Mediavandals Photography: Delaney Royer for Album: Past The Past (Artist: Jess Moskaluke). 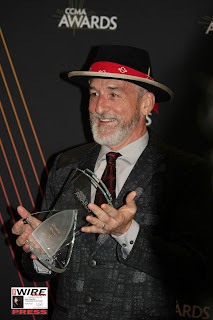 Record Producer(s) of the Year went to Jeff Dalziel for Album: What We’re Made Of (Artist: The Washboard Union). Retailer of the Year went to Spotify Canada Inc.
Video Director of the Year Stephano Barberis - Video: The Bad Guy (Artist: Meghan Patrick), Video: Coming Clean (Artist: Shirley Gnome), Video: Dirt Covered Rhinestone (Artist: Jade Mya), Video: Heart Of A Woman (Artist: Johnny Reid), Video: Hold The Line (Artist: Jesse Mast), Video: Might As Well Be Me (Artist: Chad Brownlee), Video: Neon Smoke (Artist: Gord Bamford), Video: Out Of The Blue (Artist: Chad Brownlee), Video: Sky Stays This Blue (Artist: Dallas Smith), Video: Something To Wrap My Heart Around (Artist: JoJo Mason), Video: What We’re Made Of (Artist: The Washboard Union). CCMA Seminar Series: Tamara Beatty Workshop at the Hamilton Convention Centre inside the Webster Room ABC ran from 3:30pm-5: 00 pm Tamara shared four ways to respect the hook of a song so that you can write songs that really translate to national & international markets. You were encouraged to bring in your own music & Tamara showed you how to re-arrange lead vocal lines, develop the song, & even approach background vocals to be in line with the songs you love & hear on the radio. 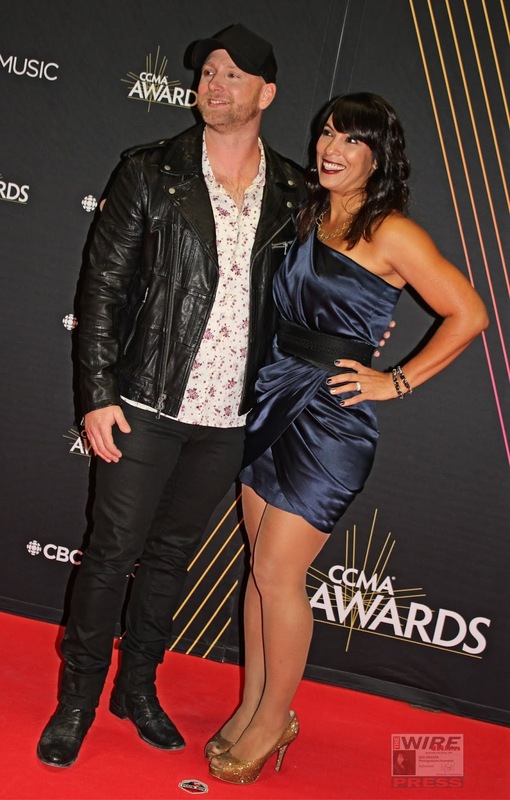 Canadian Country Artist Showcase was a delicious 3-day smorgasbord of more than 50 CCMA artists, hosted by John Chris Ford & presented by Music Mentor Productions LE Music Promotions. At the 33 Bowen Live Music Restaurant. Lori Yates was live at the Art Gallery of Hamilton, 7 p.m.
SIRIUSXM Top of the Country Showcase held at CCMA Fan Village Outside (Market at Bay) took place from 8:00 pm-11: 45 pm this Country music competition is a program that came to an exciting finish on Friday, Sept. 8th as the three regional finalists took to the stage one last time, competed for a panel of celebrity judges. Jason Benoit, Andrew Hyatt & Leaving Thomas battled it out with Andrew Hyatt winning the $25,000 prize, followed by a headlining performance by Tim Hicks at Fan Village, was crammed like sardines, intoxicated sardines that is, but was Free. CCMA Legends Show: A Tribute to Yesterday & Today was held in the prestigious FirstOntario Concert Hall connected to the Convention Centre from 7:30pm-9:30pm I was excited to attend this event as a photographer at stage level to capture some of the best music creators in the biz, but, only for the 1st 3 performers (Host Beverley Mahood, Michelle Wright & Jess Moskaluke). However, Penelope PR further granted me an extension of being able to attend the entire show & shoot from the sound booth mezzanine, what an honour as the A list of artists were simply outstanding, was a once-in-a-lifetime event for me. 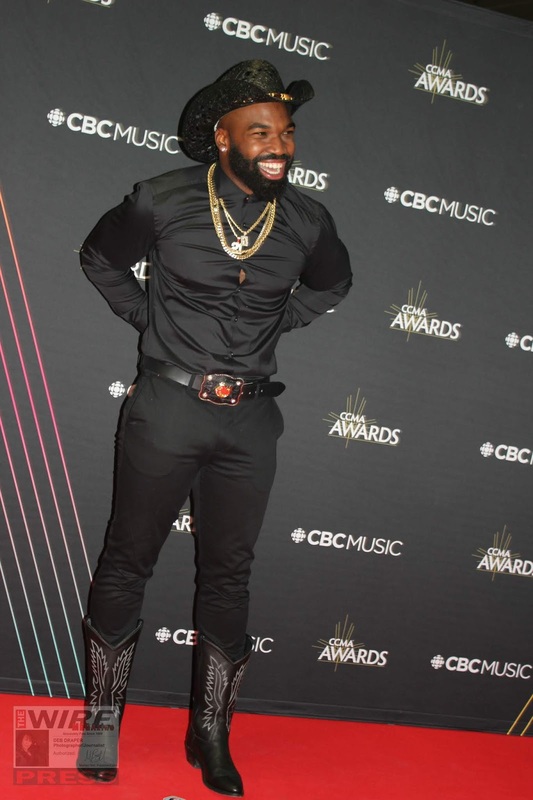 This incredible night was hosted by the beautiful & extremely successful singer, songwriter, actress, model & television host, who is an exemplified humanitarian, who works on charitable causes that benefit children, families of children with disabilities & people with special needs to Canada’s Food Banks. 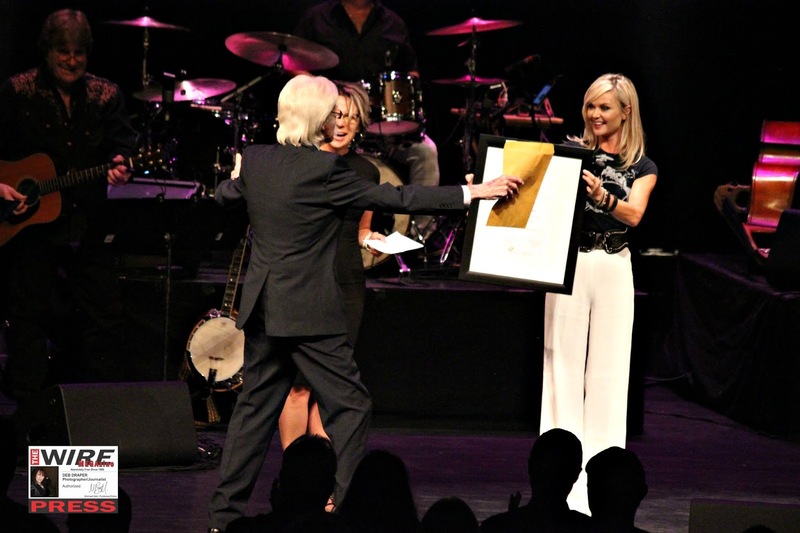 She is the national spokesperson for the Pink Mitten Campaign which supports breast cancer research, a humble philanthropic professional who is the 2014 Slaight Music Humanitarian & multi CCMA Awarded recipient throughout her in-depth career, yes I am referring to the ever-engaging Beverley Mahood. I captured performances by CCMA awarded Legends who perfected some of Canada's cherished country sounds, by paying tribute to Canadian country hits of the past, & this show blended Hall of Fame inductees, with rising stars in the country music realm like Chad Brownlee, Terri Clark, Patricia Conroy, Russell deCarle, Aaron Goodvin, Charlie Major, Murray McLauchlan, Jason McCoy, Jess Moskaluke, JJ Shiplett, Michelle Wright who just won THE COUNTRY MUSIC ASSOCIATION OF ONTARIO 2018 IMPACT AWARD. 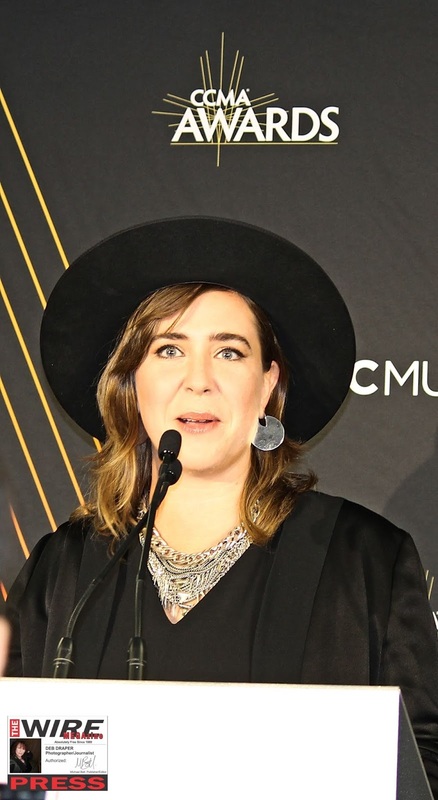 Michelle Wright received the 2018 Impact Award sponsored by Canadian Music Week. As the first Canadian‐born artist in the modern era of country music to have a Top Ten hit in America with her Arista Records Nashville release, “Take It Like A Man,” a Number One video on CMT‐USA (also for “Take It Like A Man”) and to win a major U.S. music industry award (the Academy of Country Music Top New Female Artist award in 1993), and a career that includes twenty‐five Top Ten radio hits, millions of records sold, more than forty major awards (including her 2011 induction into the Canadian Country Music Hall of Fame) and a new label home, Michelle is poised for the next phase of what has already been a stellar musical career. 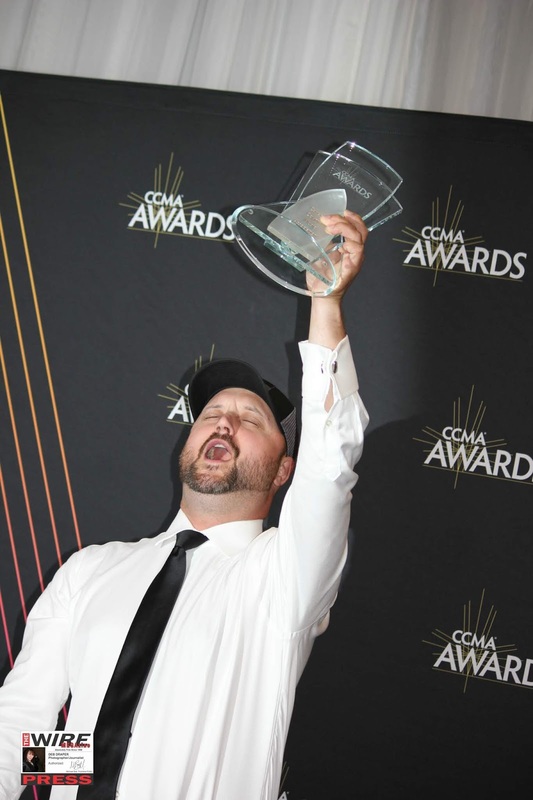 The CMAOntario Impact Award recognizes an artist, group, industry personality or company/organization that has left an enduring and indelibly positive footprint on the landscape of country music in Ontario. 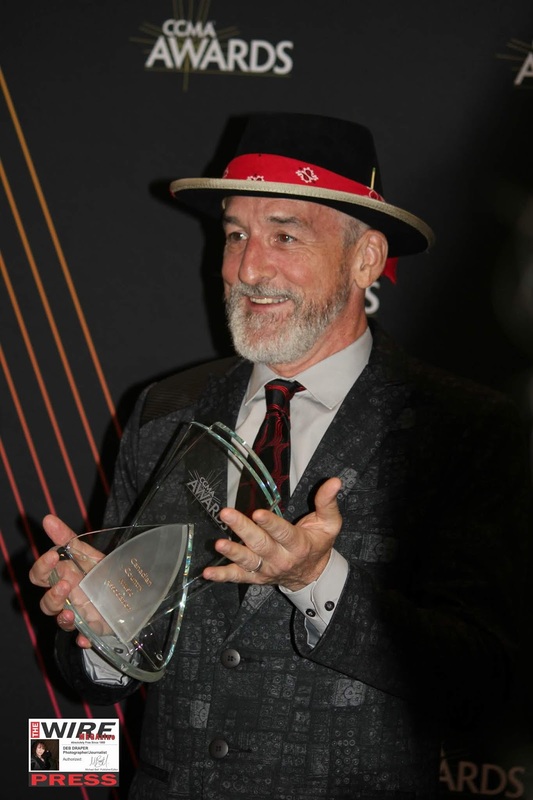 Previous recipients include Blue Rodeo, Prairie Oyster, Paula Chopik and Ed Leslie (producers of Havelock Country Jamboree) and Gordon Lightfoot. This shot was from the CCMA Legends show, where Hall of Fame inductees perform with rising stars each year. Jess Moskaluke started the night off with her song "Camouflage" and went straight into Michelle Wright's hit "Take it Like a Man"
What made this event super special was witnessing the proud induction of Hamilton's Dallas Harms' for his song "Paper Rosie" into the Canadian Songwriters' Hall of Fame while Juno Awarded, 3 time CCMA & 2018 CCMA Ford Album of the Year Winner Jess Moskaluke& 2018 CCMA Songwriter of the Year Aaron Goodvin performed his beloved hit, now his masterpiece will stand tall alongside songs written by Neil Young, Gordon Lightfoot, Leonard Cohen & Joni Mitchell. 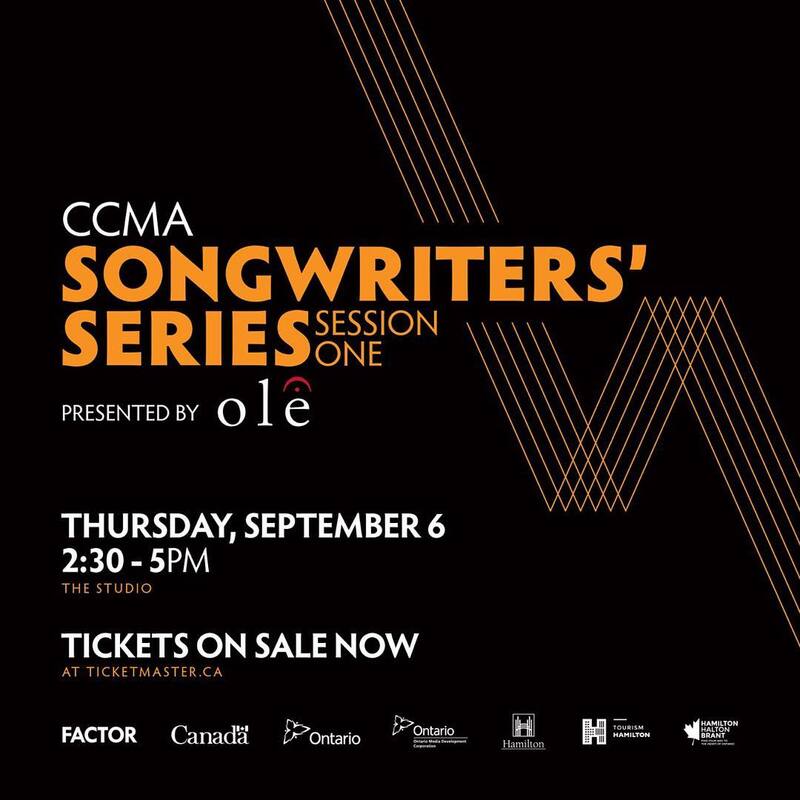 AS WELL, another presentation, but from Artist to Organization.Country music veteran Charlie Major recruited a who’s who of Canadian country music — including Dean Brody, Brett Kissel, Terri Clark and Johnny Reid prior to the CCMA 2018— to add their voices to the remake of his 25-year-old No. 1 hit, “It Can’t Happen To Me,” in order to raise money for Mothers Against Drunk Driving, now known as MADD Canada. He presents to MADD a cheque from the proceeds of his song! 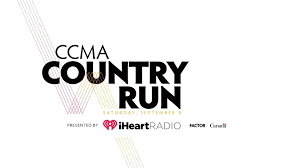 CCMA's 1st 5km Country Run presented by iHeartRadio Canada 9:00am-10:00 am with performances on the route & the end a pancake breakfast. 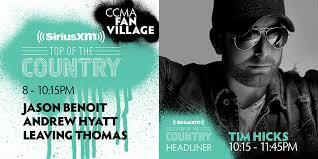 CCMA FanFest - photo walls at the hub Market and Bay Streets. Ran from 10:30 am – 12:30 pm totally free: allowed the fans to get up close & personal with Icons & Legends & country superstars. Ginger St. James — Hamilton singer-songwriter performed Tourism Hamilton Visitors' Centre, 28 James St. N., 1 to 3 p.m.
MDM Recordings Showcase held at CCMA Fan Village (Outside FirstOntario Centre at Market and Bay Street parking lot) from 1:00 pm – 2:00 pm was jammed as this was a FREE event which showcased David James, The Lovelocks & Bobby Wills. 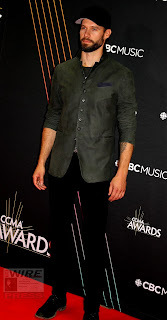 Country singer Aaron Goodvin was surprised with a Platinum award plaque on stage Saturday in Hamilton, ON for his hit single “Lonely Drum.” The plaque was presented to Goodvin by Warner Music Canada during his CCMA Fan Village performance, which was part of the Canadian Country Music Association’s Country Music Week festivities leading up to Sunday’s CCMA Awards broadcast. Goodvin shared the news with his fans through his social media channels, thanking his team for all the support with the Platinum track. 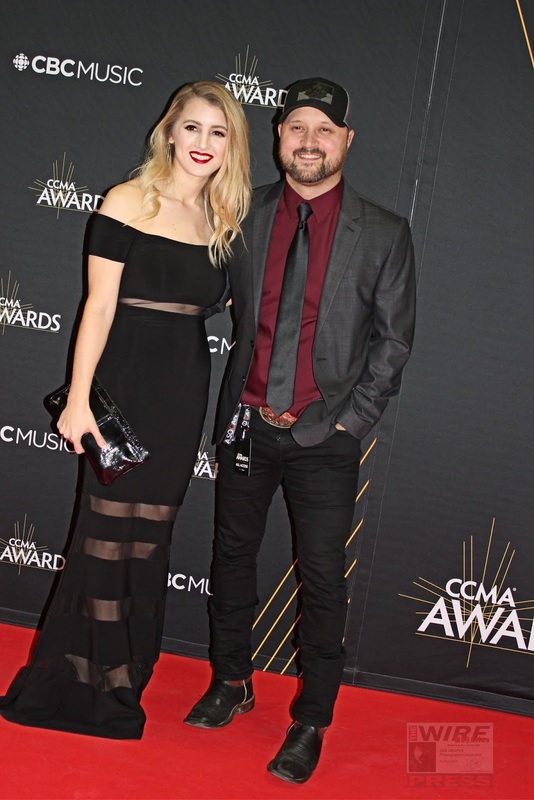 Warner Music Canada/Complete Country Showcase CCMA Fan Village 2:15 pm - 3:15pm featured performances by Award-winning artists The Abrams, Paul Brandt, Aaron Goodvin, Nice Horse, Meghan Patrick, Kelly Prescott, Tebey & The Washboard Union. CCMA Hall of Fame Private Reception was held at the Hamilton Convention Centre inside the Webster Lounge from 5:00 pm-7:00 pm which led up to the CCMA GALA Cocktail Reception at Hamilton Convention Centre Wentworth Room B from 530-7pm where the industry gathered. 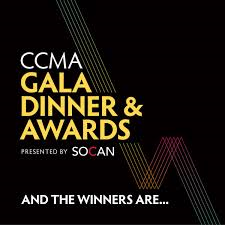 CCMA Gala Dinner & Awards where 14 awards were presented. 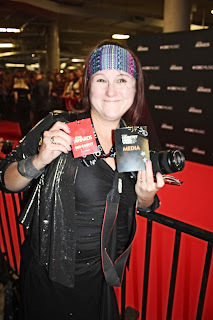 I was included in the media room backstage of the at the Hamilton Convention Centre inside the backstage area of the Chedoke Room from 7:00 pm-10:00 pm, seeing familiar fellow media once again from time at the 2015 Junos Hamilton was like a family reunion of sorts and I truly enjoyed the atmosphere, snacks & front row Red Carpet. I once again was the only disabled media present as I professionally captured the winners & distinguished delegates. Oh, the mighty fine looking gentleman all decked out in their finest formal jackets & those dresses, oh my lord, divine glittery high heeled shoes everywhere. The Canadian Country Music industry was honoured & celebrated some very special people by presenting them with awards & 2 being inducted into the Canadian Country Music Hall of Fame. 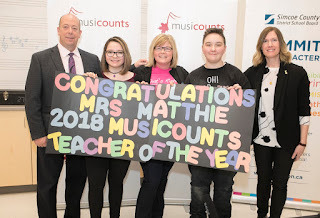 I got to see my hometown mentioned in a VERY SPECIAL PRESENTATION as MusiCounts, Canada’s leading music education charity, announced that Laura Lee Matthie of Orillia Secondary School was the 2018 recipient of the MusiCounts Teacher of the Year Award. 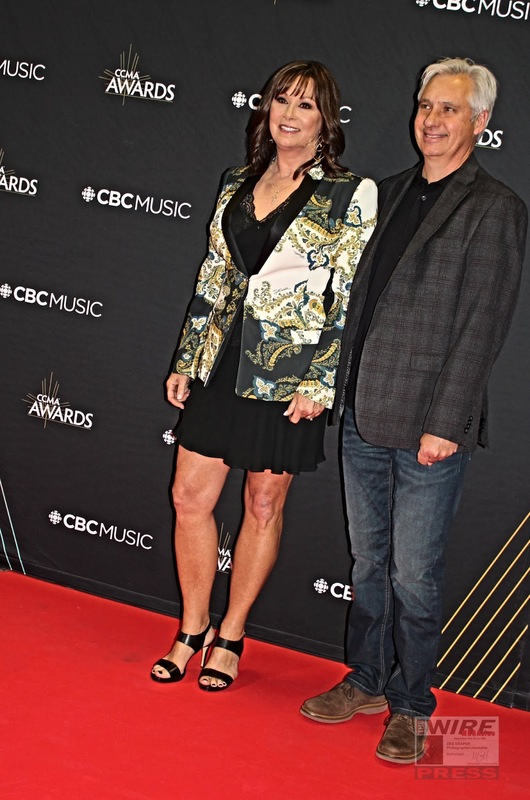 Clarence Spalding spoke highly of his artist Terri Clark and how she is a 19-time CCMA Award & three-time Juno Award winner from Medicine Hat, Alta., who is dedicated to her craft & is 1 who has sold more than five million albums since her debut in 1995 as well, he mentioned how she became the first female Canadian member of the Grand Ole Opry. 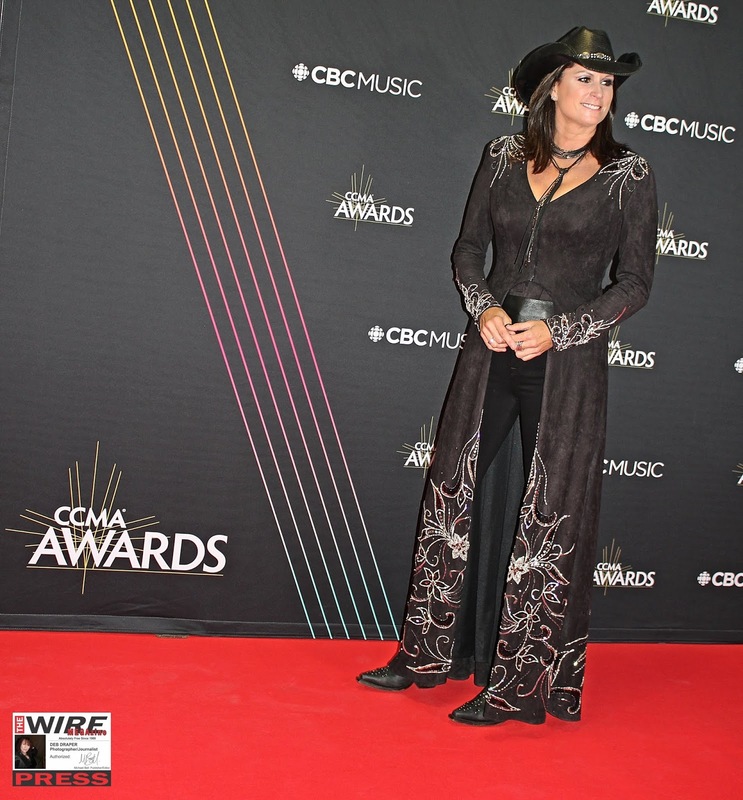 He spoke of her determination & passion for music and how deserving Terri was to receive the prestigious CCMA Hall of Fame Award. went to Jackie Rae Greening, a world-famous Radio Broadcaster, who is a Past Chair of the CCMA & a member of the Board of Directors from 2004-2010, who has won four CCMA Awards & is also an Alberta Country Music Hall of Fame inductee. Jackie Rae Greening received this distinguished high honour award for the most consistent demonstration of her dedication to the advancement of country music in Canada all the while as she elevates the careers of countless artists, presented by 7 Time CCMA recipient & 2018 5th back to back CCMA Interactive Artist of the Year Brett Kissel. 2 recipients were awarded for their above-average dedication to Canadian Music scene. 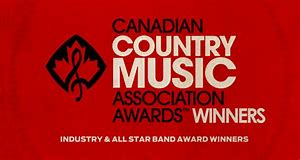 CCMA Awards of Achievement with the Slaight Music Humanitarian Award was presented to The Country Thunder Humboldt Broncos Tribute Concert. This honoured award distinguishes those who have made an outstanding contribution of time and energy in support of humanitarian causes & 2018 will highlight the admirable work of Troy Vollhoffer, Nick Meinema, Kelly Chase & the Country Thunder team in support of Humboldt Broncos families, where in April 2018 their event raised over $600K to help impacted families. Was great to speak briefly with Michelle Wright backstage & to be recognized by United Talent Agency's Nick Meinema backstage too as we reminisced about the 2012 Start Quest competition held at the Gravenhurst Opera House, where I was a volunteer & Nick was a Judge. 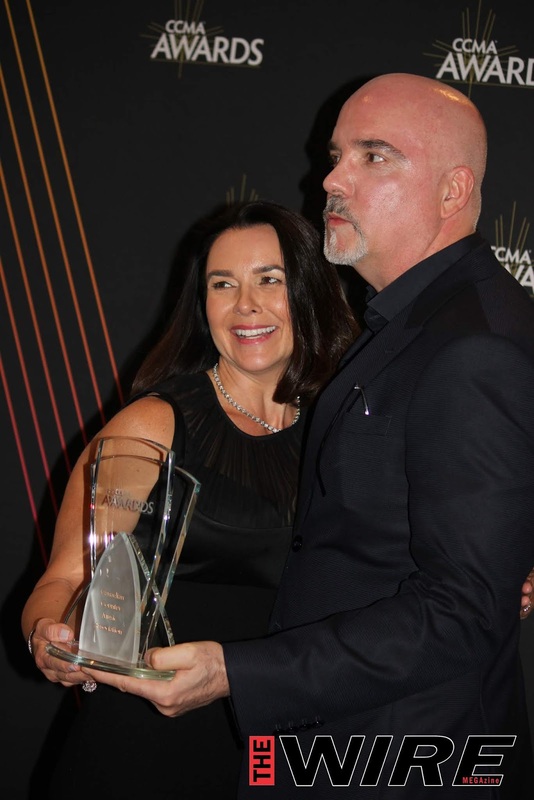 The Leonard T. Rambeau International Award recognized Steven Goldmann. 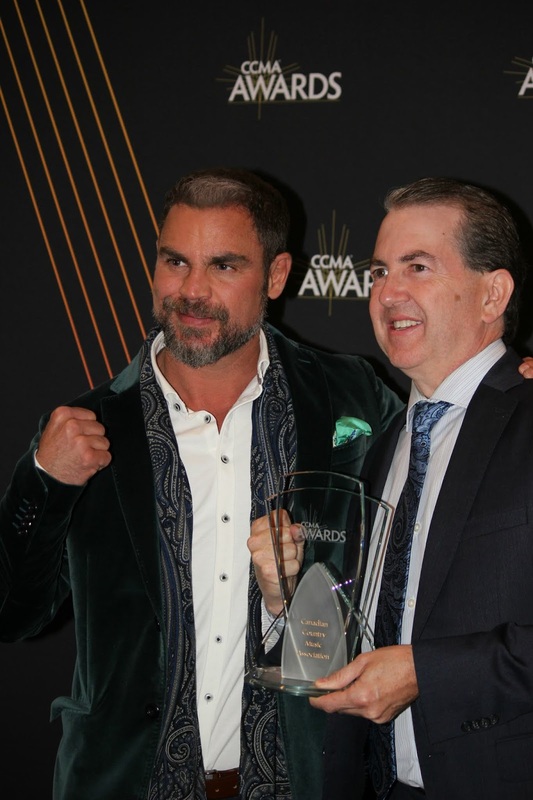 This award celebrates Canadian excellence since 1989, recognizing an individual who has demonstrated extraordinary effort in assisting the aims & initiatives of the Canadian country music industry internationally. World-renowned Video Visionary set him above the rest. Receiving this coveted award in honour was his wife Stephanie & daughters Alana & Alexandra. 7 Time CCMA recipient & CCMA Interactive Artist of the Year Brett Kissel takes home his 5th in a row in this category. received their 1st win for Group or Duo of the Year & their 3rd consecutive win for Roots Artist or Group of the Year. 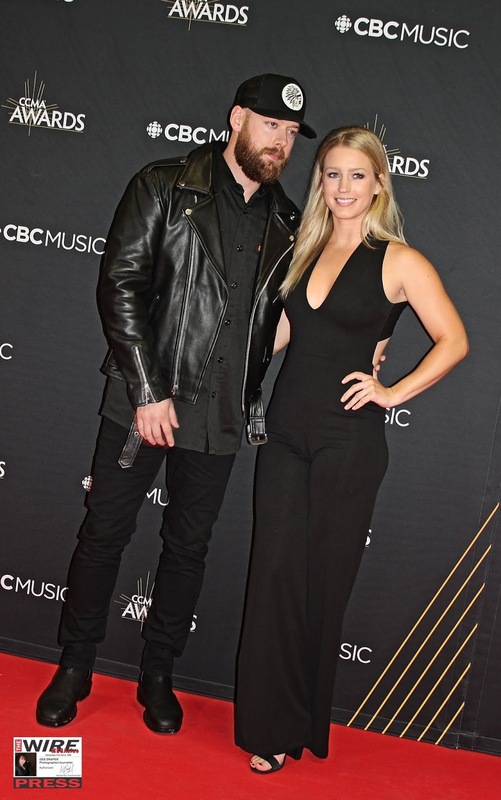 James Barker Band is a 2018 JUNO awarded act that also took home Single of the Year for"Chills"
Matt McKay WINS his 2nd in a row Guitar Player award. Bart McKay brings home his 4th award in this category. 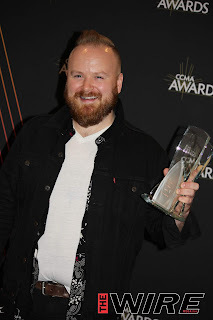 Shane Guse wins his 1st CCMA for Mandolin & in 2017 Shane Guse received his fifth win in the Fiddle Player of the Year category. 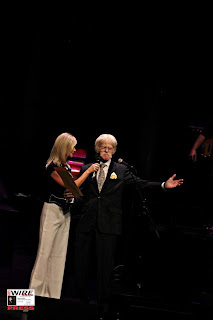 As such, he is now entered into the Musician Awards Hall of Honour. The Hall of Honour is reserved for musicians who have been awarded the same CCMA Musician Award five (5) or more times. 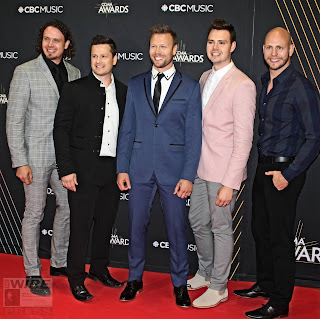 Upon achieving their fifth award, their name is entered into Hall in celebration of their great contribution to Canadian country music. Shane was absent due to performing & Jason Barry received award on his behalf. 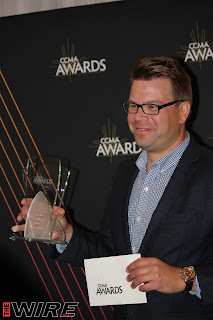 CISN-FM - Edmonton, Alberta brings home their 3rd CCMA in this category. CHCQ-FM - Belleville, Ontario take home their 2nd CCMA in this category. ole is the undefeated winner, receiving their 7th CCMA in this category. Steve Coady - Vice President, Radio Promotions - Warner Music Canada. Jim Cressman - Invictus Entertainment Group takes home #6 in this category. CCMA Sweat Session with F45 - CCMA Fan Village (Outside FirstOntario Centre Market at Bay Street) from 930 - 11:00am Then a nasty wind picked up, throwing debrite about, causing the CCMA to make a decision for safety sake to close SteelHead Music BC Showcase, Countdown Concert & CCMA Fan Village on the last day of CCMA Week. In The Round: Crossing Borders which was presented by ole live at The Studio from 1:30 pm - 3:30 pm Masterclass songwriters from both sides of the border in a guitar pull setting. Notable songwriters from Canada & the U.S. 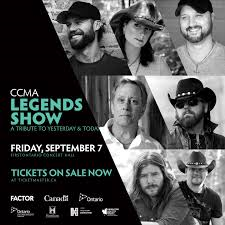 Shared the stories behind country music’s biggest hits, with Gord Bamford, Phil Barton, Laura Veltz & Don Woods. Next, such a high, to have The Wire Megazine blended in with the likes of CMT, CBC, Etalk Canada & local Hamilton News, and was arm and arm with online Magazines from as far away as Nova Scotia. I got to be an elite that captured famous crowd favourites upon the Official CCMA Awards Red Carpet, my 1st CCMA Red Carpet but my 2nd CCMA Carpet shoot as the 1st was the Official John Deere Green Carpet in London in 2016. 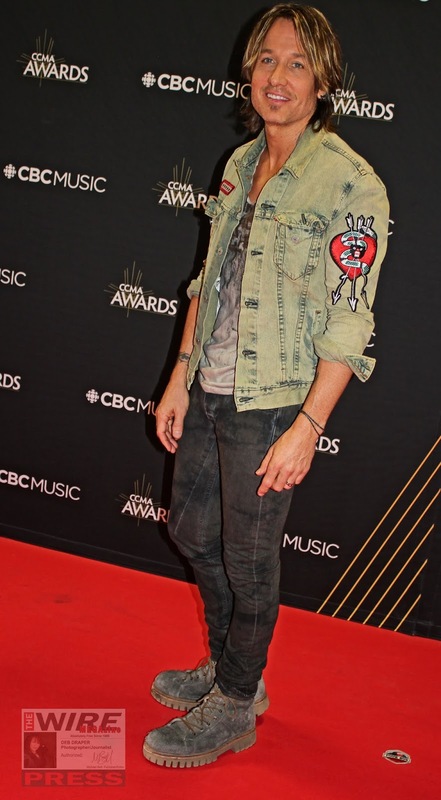 This also marked the Wire Megazine's 2nd Red Carpet, lately, 1st being the 2015 JUNOS in Hamilton. The carpet was lined from start to finish with adoring screaming fans, & was broadcasted LIVE around the WORLD for the 1st time thanks to CBC & cbcbmusic.ca/ccmas Photo below is Jason Benoit finalist for 2018 CCMA SIRIUSXM Top of The Country Competition. 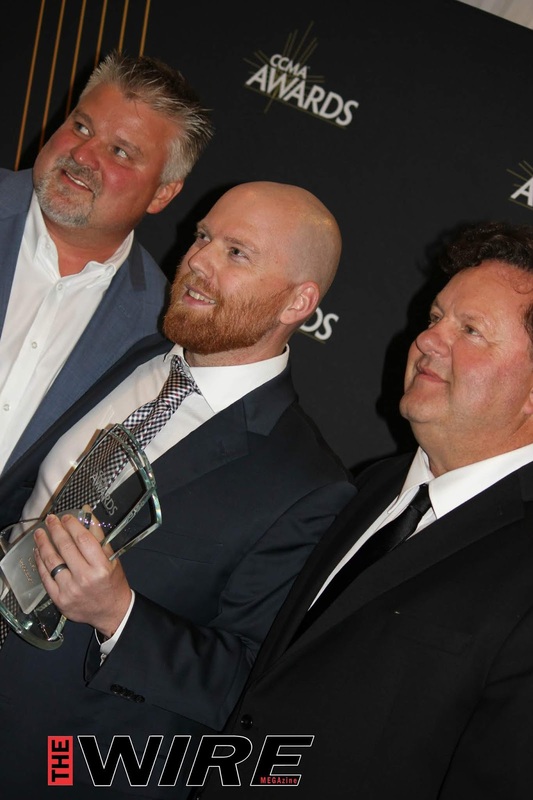 Congratulations to Andrew Hyatt, the winner of SiriusXM's 2018 Top of the Country, who received $25,000, trips to Nashville, Pender Island attending SOCAN Songwriting Camp. 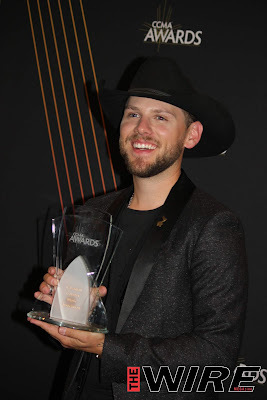 Interactive artist or group of the year Brett Kissel 7 Time CCMA recipient & CCMA Interactive Artist of the Year Brett Kissel takes home his 5th in a row in this category. 19-time CCMA Award & three-time Juno Award winner Terri Clark received the 2018 CCMA Hall of Fame, presented by Internationally Acclaimed multi-award winning Keith Urban. 2018 CCMA SiriusXM Rising Stars The Reklaws. 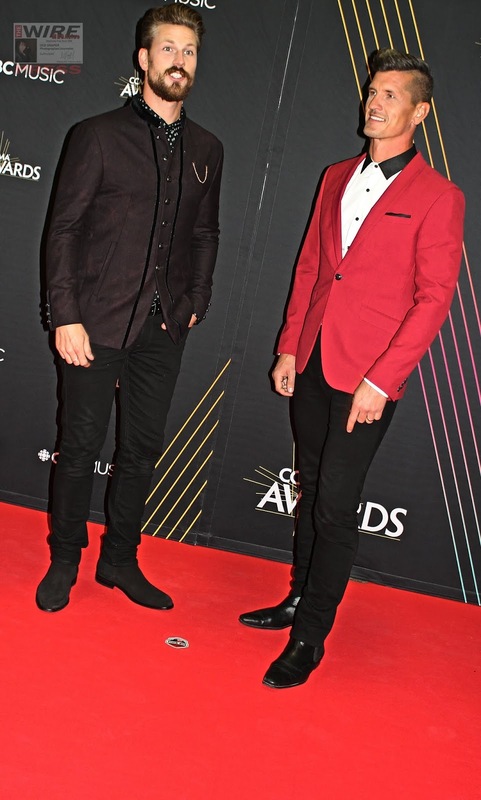 Brothers 5 non other than the 2 time 2018 CCMA Group of Duo of the Year & SIRIUSXM Rising Star Nominees The Hunter Brothers. 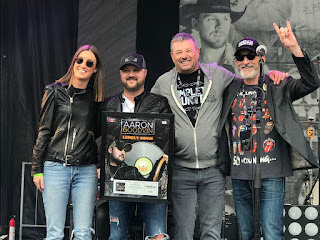 Aaron Goodvin Won Songwriter of the Year & was surprised with a Platinum award plaque on stage Saturday in Hamilton, ON for his hit single “Lonely Drum.” The plaque was presented to Goodvin by Warner Music Canada during his CCMA Fan Village on Saturday. 2015 CCMA Rising Star awawrded 2018 CCMA Female Artist of the Year Nominee Madeline Merlo also performed was part of a trio with Jess Moskaluke & Kira Isabella opening the CCMA Awards broadcast, perfecting a Tribute to the host & largest awarded artist in the world, Shania Twain. 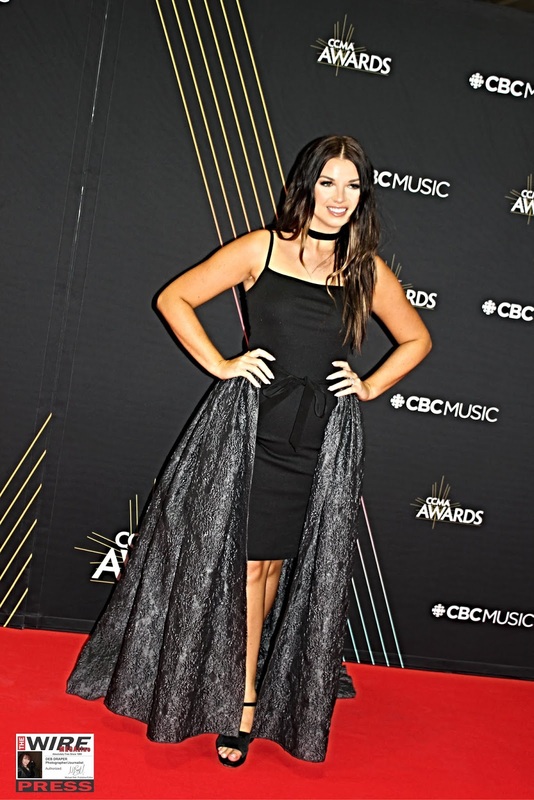 2 time CCMA Awarded Kira Isabella opened the Awards broadcast show with Jess Moskaluke & Madeline Merlo as the Trio perfected a Tribute to the host & multi award winning Shania Twain. 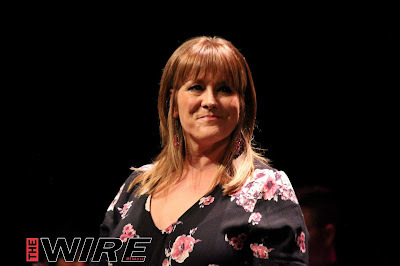 Multi Award Winning Suzy Bogguss was part of the Terri Clark Tribute Medley performance. 11-year-old Mason Ramsey the Yoddling Walmart sensation. 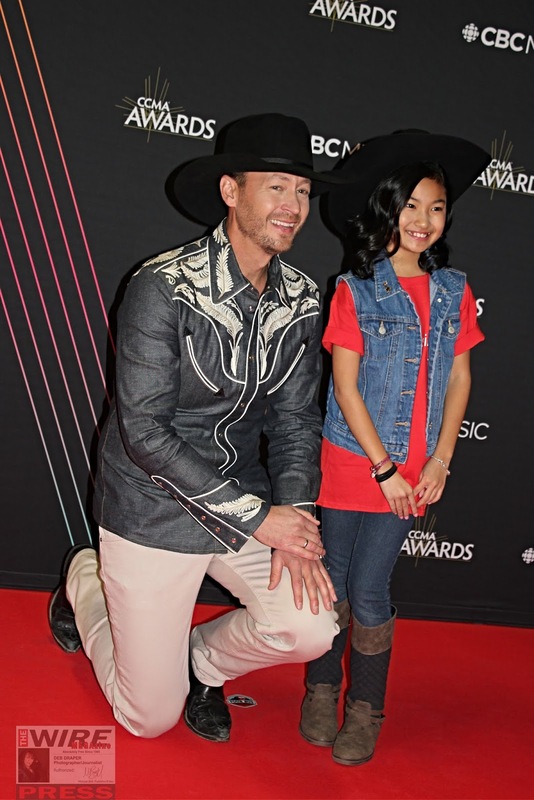 Multi-Awarded Paul Brandt performed a stunning version of John Cash's 'I Walk The Line' with High Valley, Jess Moskaluke & The Hunter Brothers. 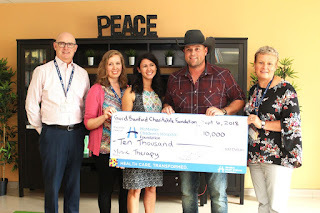 He is seen here promoting his Black Hat That Does Good Things Campaign where a portion of hat sale proceeds goes to support MusiCounts, & help put instruments into the hands of kids who need them most all across Canada. By purchasing one, you’ll look great & you’ll be wearing a piece of history that makes the world a better place. The Hunter Brothers & Jess Moskaluke. 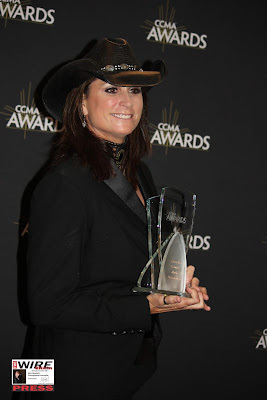 10 Country Music Association, 11 Academy of Country Music, a People’s Choice & an American Music Awarded Golden Globe nominee Keith Urban presented Terri Clark with her distinguished CCMA Hall of Fame Award, Sunday, Sept. 9th 2018 CCMA Broadcast Show. 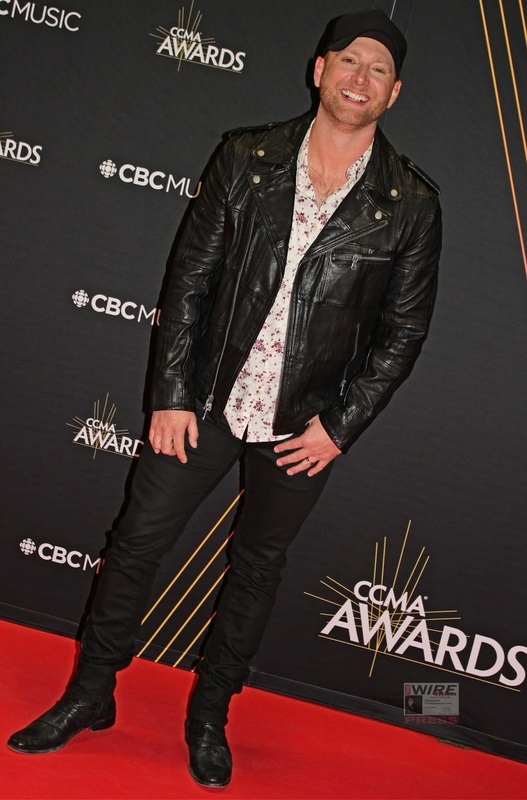 Multi Award Winning 2 time 2018 CCMA Nominee Chad Brownlee performed throughout the week. 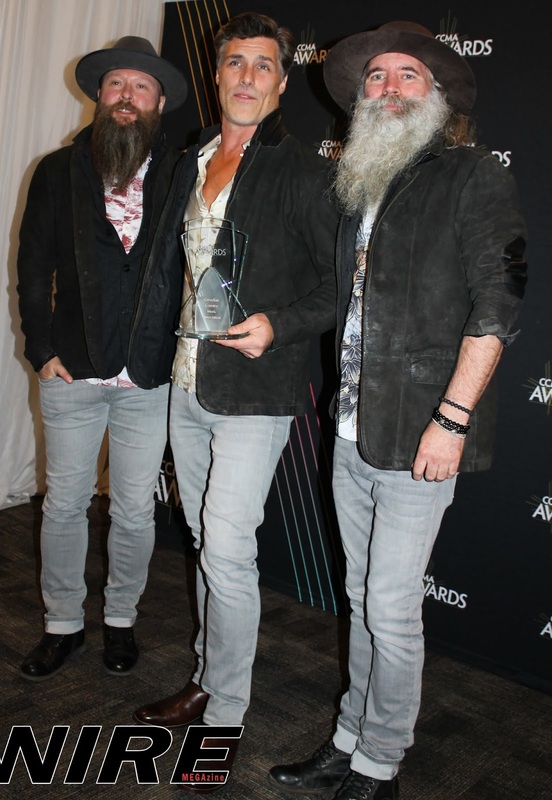 1st time winners of Group of Duo of the Year but, 3rd time winners of CCMA Roots Artist or Group of the Year, The Washboard Union. or the Terri Clark Tribute with Meghan Patrick, Suzy Bogguss, Jessica Mitchell with Terri Clark herself. 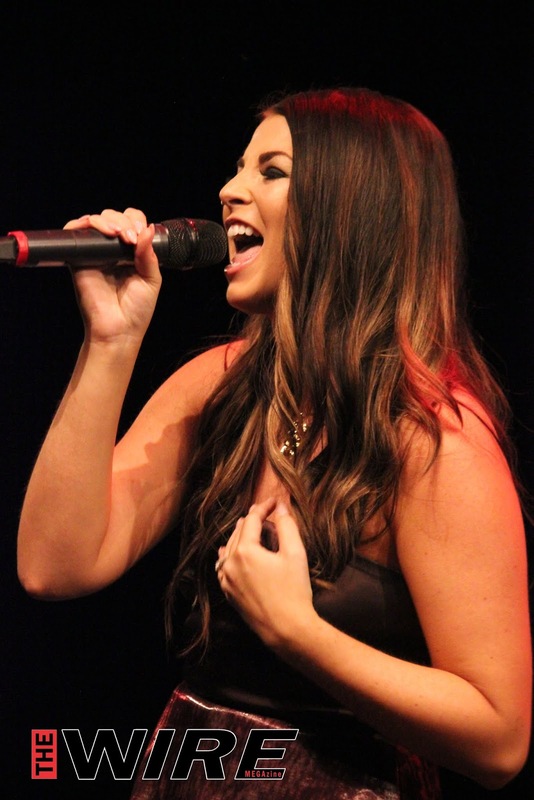 Or was it Jess Moskaluke, Kira Isabella & Madeline Merlo performing the open spot with a Shania Twain tribute. All in all the 14 performances were stellar. 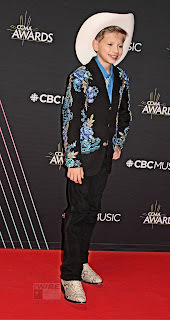 It was adorable to see 11-year-old yodelling Walmart viral superstar Mason Ramsey up from the States to his first ever Award show, he was well spoken, answered some challenging questions & was calmer than some of the Icons in the interview random hot spots. I was truly in awe! Riddled with goosebumps, my eyes just a watering & the biggest smile ever captured on my face, am I here? I asked my self...Jesus, I am feet away from the Legend, 4 time Grammy, 10 time Country Music Association, 11 Academy of Country Music, People’s Choice and an American Music Awarded Golden Globe Nominee & the sexiest man alive to date, Keith Urban. This internationally acclaimed superstar performed his hit “Never Comin' Down“ from his 11th studio album “Graffiti U” & who better than Keith Urban to present the CCMA Hall of Fame award to Canada's Country royalty, Terri Clark!! 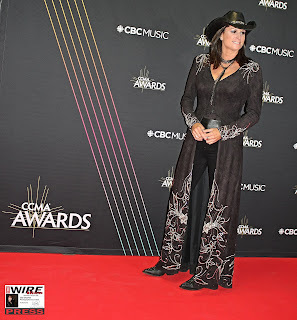 Way to go Top Selling Female of All Time, 5 time Grammy winning, 24-time CCMA awarded & this years host, priceless. She was stunned to receive the 4 top honoured awards: Apple Music Fans' Choice Award, Top Selling Album of the Year for “NOW”, Top Selling Canadian Album of the Year for “NOW” which is from her 5th full-length album & her 1st since 2002. Then to top it off, Brampton's own Juno Award-winning Alessia Cara presented Shania with The Generation Award. This was a relaxed adventure, knowing the area, the media personnel & the procedures better since the Junos. I felt tall & proud to represent Michael Bell & his institution The Wire Megazine, out on the music scene since 1989. My heart was full hearing media say, “Hey, Wire Megazine!” I felt I finally made my mark! The favourite highlight of my overall experience at this years 2018 CCMA Awards in Hamilton was interviewing the 5th-octave mezzo-soprano, Peterborough's 6-time JUNO awarded Serena Ryder. Perma grinning thru the collaborative live showcase with her dear friend & 8-time CCMA & Juno winning Brett Kissel #brettkissell as they perfected her hit 'What I Wouldn't Do' from her 2013 5th Album 'Harmony' right into Brett's "You're My Anthem" from his 2017 self-titled album! However, going 1 on 1 with Serena for that brief 2-minute journalistic adventure was simply the best part! Deb: Yes, Deb Draper from The Wire Megazine, Michael Bell Says hello! 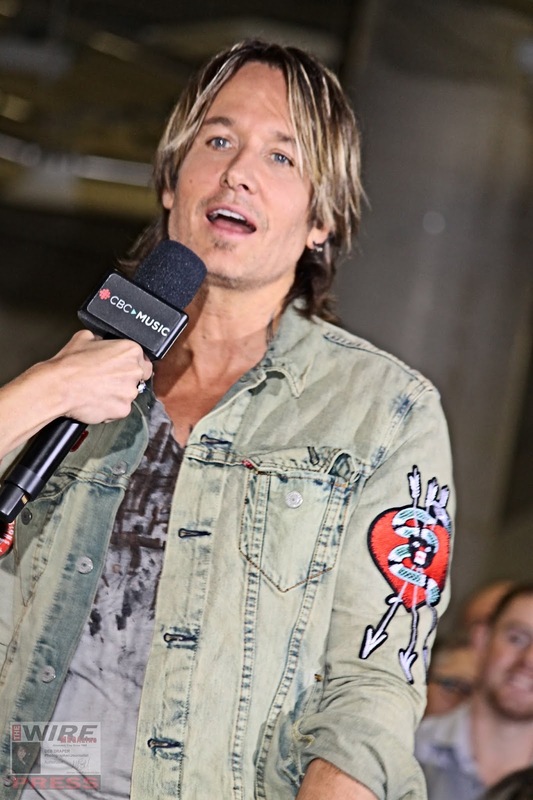 Deb: Which is your most personal reflective song that you wrote while living in Peterborough? Serena: (leans over the podium with a Sigh) "You ask a tough question." Serena: "Ya, it's definitely the most reflective personal song for sure." Events took place at 14 venues ranging from Hamilton Convention Centre, The Studio at Hamilton Place, FirstOntario Concert Hall, Fan Village, bars, restaurants, The Hamilton Tourism Centre, Hamilton Public Library, Art Gallery of Hamilton to the local Farmer's Market to FirstOntario Centre. 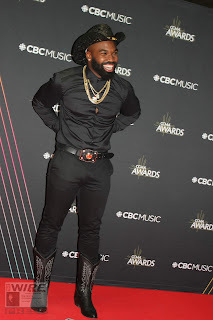 If you were not able to catch the CCMA 2018 Red Carpet & Awards click this link & enjoy. Country Music Week & Awards 2020.